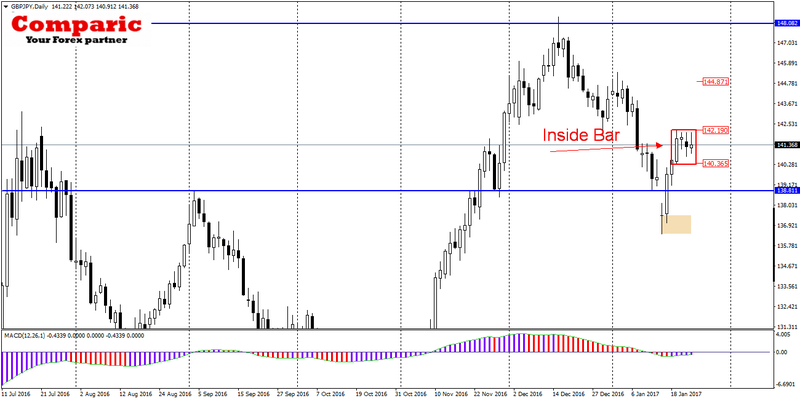 As shown in the accompanying Daily chart of GBPJPY we see Inside Bar formation. Breaking out from Inside Bar in any direction gives opportunity for a sizeable move. Looking on chart to the left at that what has happened in the last week, we see 5 bullish candles and only one bearish. The probability of bullish breakout is bigger than a bearish one.